Looking for adventure and an adrenaline rush? Always wanted, never tried? Whether you want to learn how to dive, refresh your rusty diving skills, looking to take a PADI Open Water course or just want to have fun and dive, you came to the right place! Let’s dive! 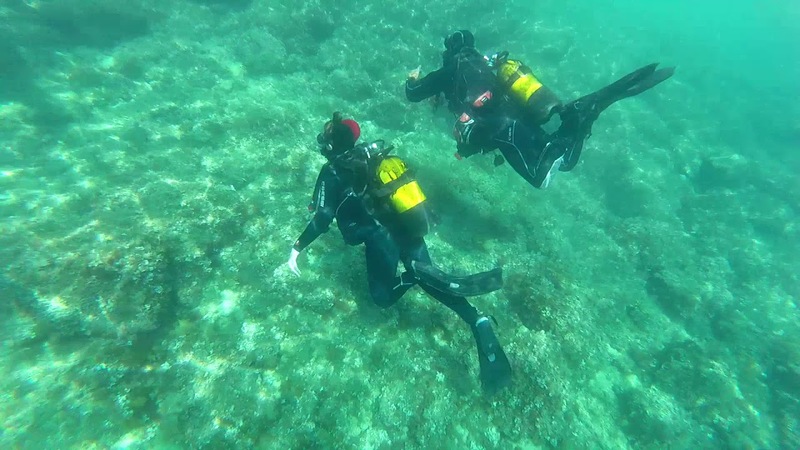 Split diving for beginners is a perfect chance to experience your first breaths underwater. A professional instructor will teach you through the basic information about Scuba Diving and some skills from the PADI Open Water Diver course after which you will experience a real 45-minute dive up to 12 meters in the clear waters of the Adriatic sea. Come and join our professional instructor and have fun. The world of underwater adventures out there is waiting for you. Enjoy some Reef diving or wreck diving in the Adriatic sea. Check out the most beautiful locations in Dalmatia with more than 30 diving sites only 30 - 60 minutes away from Split by boat. It takes 3 to 5 days to become a certified diver. After the theoretical part of the program, you will take the in-water training. First, your knowledge and skills will be applied in relatively shallow waters from where you will proceed to open water dives. The PADI course program consists of 9 dives (5 confined water & 4 open water), 3 practical classes, diving equipment and the licence fee. Authentic movie, without re-recording and hired actors - straight from the tour.